Don't hang up the bike when the days get shorter and the temperatures fall. 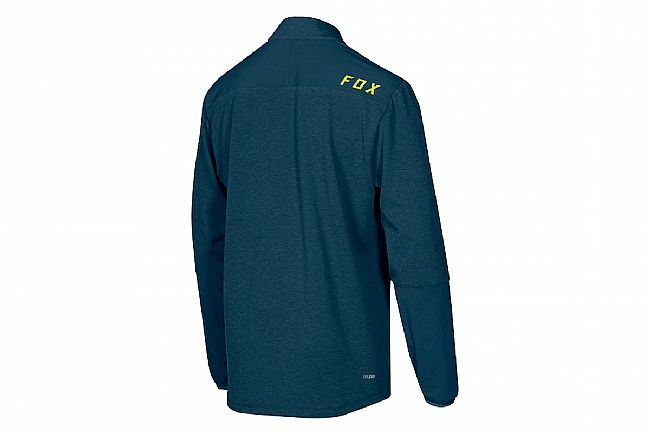 Keep on riding with the Fox Racing Indicator Thermo jersey. 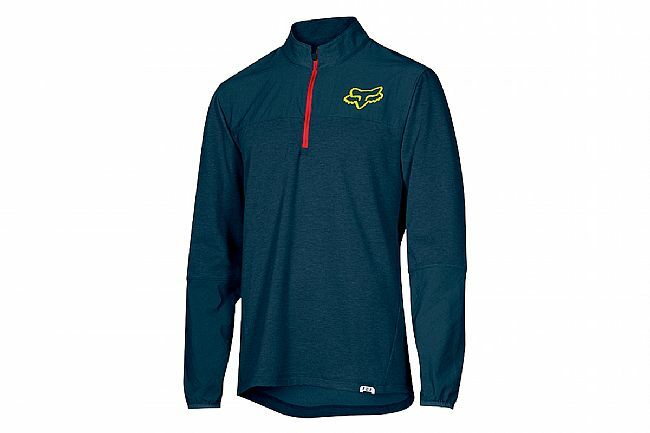 Made from a warm and flexible wool blend, this jersey is designed to keep you comfortable in cold weather conditions. Cordura® shoulder and forearm panels add trail-specific durability. Durable Polyester Hollow Core / Wool / Spandex main body with brushed back. Quick-dry and heat regulating, anti-odor fabric. Cordura shoulder and forearm panels for added abrasion resistance. High-visibility reflective logos for improved visibility in low-light conditions. Chest 0" 33"-35" 36"-39" 40"-42" 43"-46" 47"-50"
Waist 0" 30"-31" 32"-33" 33"-34" 36"-38" 40"-42"
Hips 0" 35"-36" 36"-37" 38"-40" 40"-43" 0"